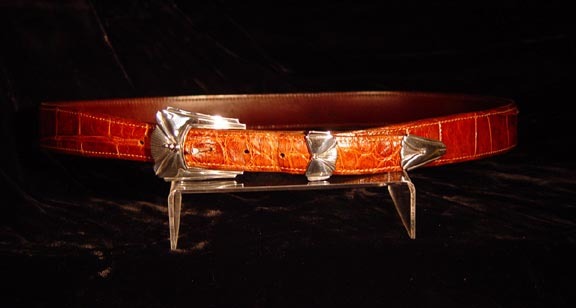 Custom hand-cut leather belts (in alligator, lizard, calfskin and cowhide) and Handmade Sterling Silver / 14 k Gold Belt Buckle /Ranger Sets. 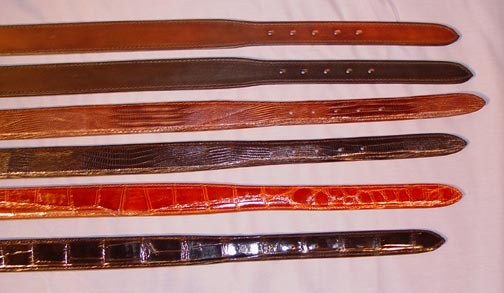 Large selection of belts and buckle sets to choose from. Perfect gift for that hard to shop for someone! 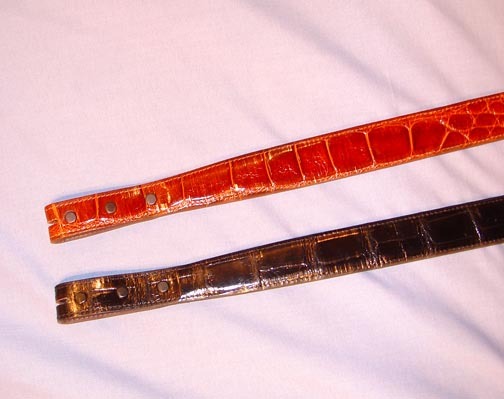 These buckles and ranger sets are handmade and are the finest and sturdiest on the market. Most styles available in Sterling Silver or Sterling Silver and 14k Gold combination. Most styles may be custom ordered all in 14 k Gold or 18 k Gold. 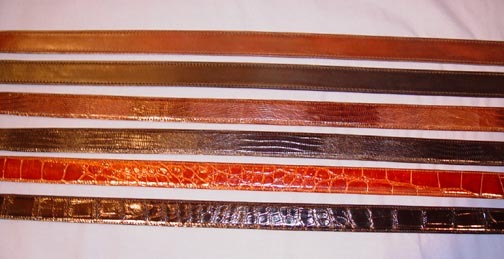 Ranger belt buckles and loops snap into place and can be used on multiple leather belts--many clients like to switch from a brown to a black belt or a lizard to an alligator belt. 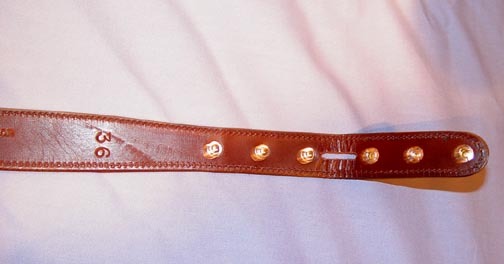 Extra tips and belts can be ordered for use with a single ranger set (buckle set).